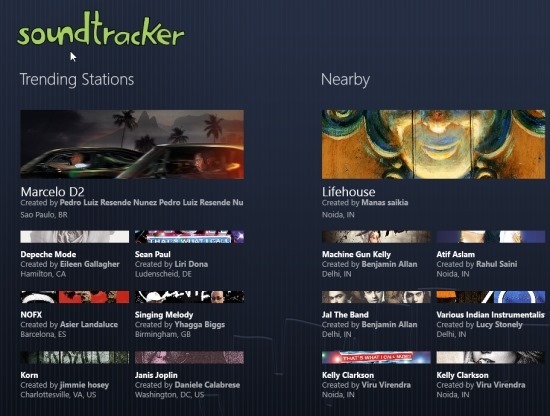 Soundtracker is a free Windows 8 Internet Radio app that lets you listen to the radio station that are located near-by your place. Soundtracker works on live streaming. 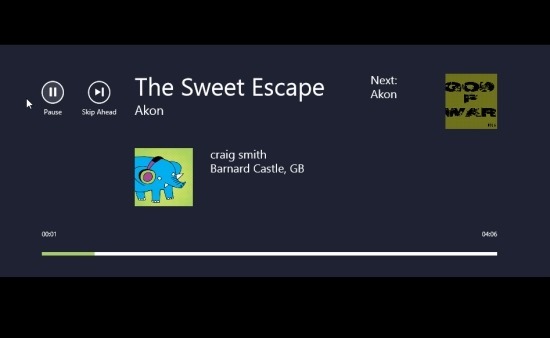 If you want to listen to what’s your friend are listening, then this is the best Windows 8 app for you. The size of Soundtracker is around 2mb and can be found in the Windows 8 App Store under the “Music” category. Quite an impressive with the looks and also with the interface, but it lacks a lot of things. It does not meet the basic requirements to be called a media player. 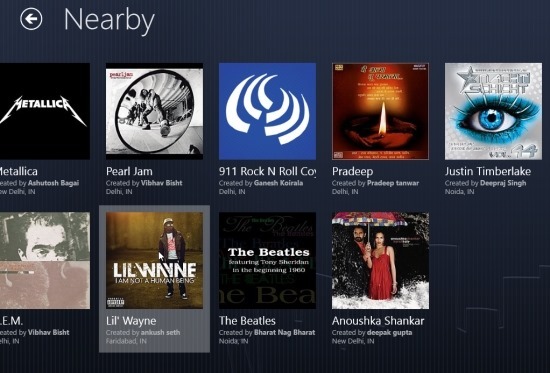 Once you select songs that you want to play, the Windows 8 Internet Radio app will play only that album and going back to any other album is just another hectic job. To go back to another album, you will have to wait when it’s short menu pops out and as soon as it comes, you have to click on it to go back, else you lose your chance. This is the part where I got irritated the most. 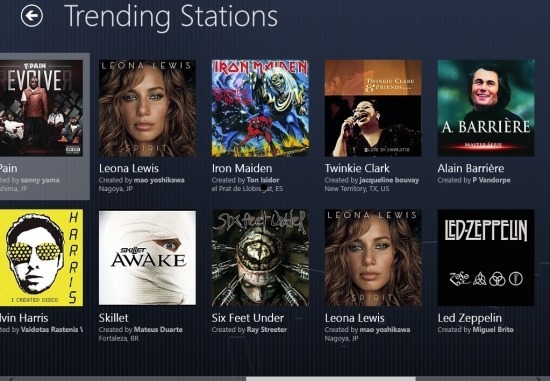 Also, check out our post on Windows 8 Music App. In Trending Stations, Soundtracker searches for those stations that people generally listen to or those that have the most number of hits. In Nearby Stations, Soundtracker searches for the stations that are near you, which Soundtracker searches by means of GPS that is in your system. The now playing screen is also not that much attractive as expected, you can only pause and play the next song. If you wish to go back to the previous song or listen to any part of the song from the middle, you can’t do that. Either you’ll have to endure the entire song or keep on clicking next. I personally did not like this Windows 8 app much. But I guess you are free to give it a try. This Windows 8 internet radio app should not be compared to a media player at all, now that would be considered a shame to all the media players in the world.